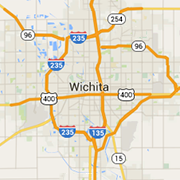 Wichita Jobs - Commercial Mechanical Inc. Employment - Commercial Plumbing Service Tech. Home > Jobs > Customer Service > Commercial Mechanical Inc. > Commercial Plumbing Service Tech. fixtures and other plumbing used for water distribution and waste water disposal. Use a variety of tools and blueprints to install, diagnose and make repairs. Perform scheduled PM, inspections & site surveys.. Perform work with little or no supervision.